The ex-HMAS Brisbane is a former warship that lies off Mooloolaba, which is about 100km (about 80mins) north of Brisbane by road. The Ex-HMAS Brisbane Regional Park is about 9km (about 20mins) by boat from the mouth of the Mooloolah River. Refer to the Ex-HMAS Brisbane Regional Park map (PDF, 148K)for coordinates. This regional park is a restricted access area (PDF, 201K). Entry to the park is prohibited without a permit or written approval. This applies to everyone—all vessels, divers and snorkelers. On-the-spot fines can be issued for entering the restricted access area (PDF, 201K) without a permit. obtain a QPWS permit for private divers, snorkelers or club divers using the public mooring. The QPWS permits are issued by a licensed dive tour operator. All divers must have a recognised scuba diving qualification. 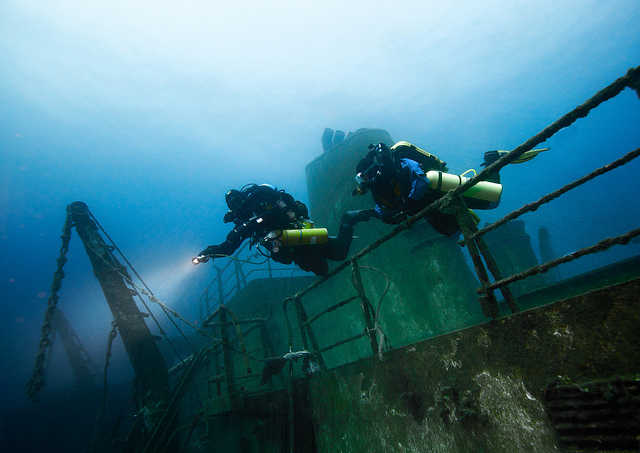 A range of dives are available, suitable for open water level certificate divers to advanced wreck divers. See diving for further information. The ex-HMAS Brisbane is a former warship that is now in 28 m of water. 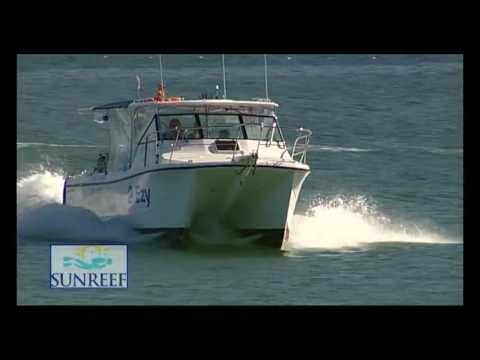 This unique conservation park has been created around the ex-HMAS Brisbane, a former warship that is now in 28m of water off the Sunshine Coast. 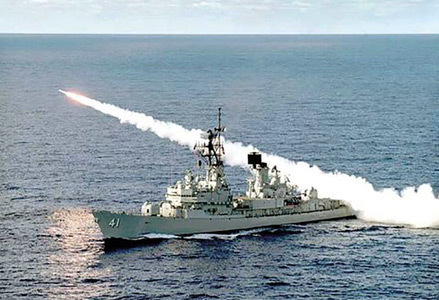 The decommissioned HMAS Brisbane warship was sunk, using explosive charges, on 31 July 2005. Two minutes and 10 seconds is all it took for the 133m ship to sink to its final resting place. 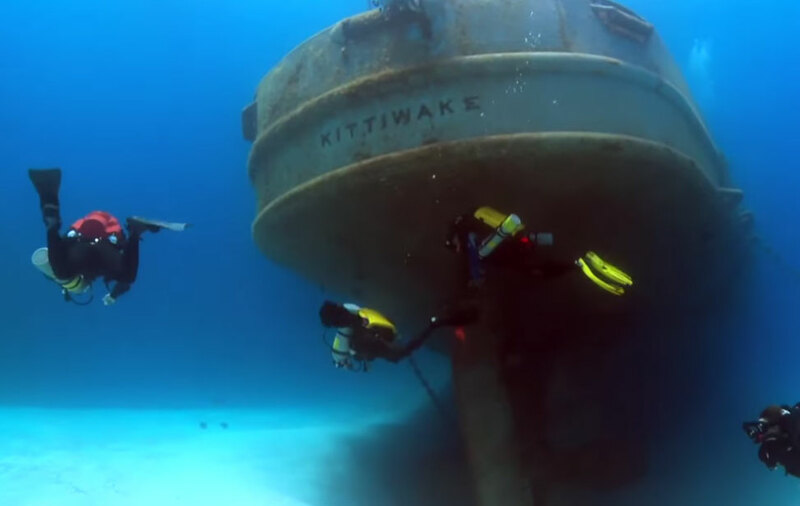 This growing artificial reef and world-class dive site is known as one of Australia's premier wreck dive destinations. It's status as a conservation park and restricted access area (PDF, 201K) ensures that this site is used and managed to maintain the cultural, historic and aesthetic values of the ship as well as the ship's 'dignity'. Parts of the ship, including the bridge, missile launcher and propeller, were removed by the Navy to be used in interpretive displays at facilities including the Australian War Memorial in Canberra. The removal of other items has been minimised to ensure the ship's integrity and value as an appealing dive site is maintained. The ex-HMAS Brisbane has a number of cultural, historic and ecological values. It has special cultural and historic significance through a rich history of service to Australia in the Vietnam and Gulf wars. 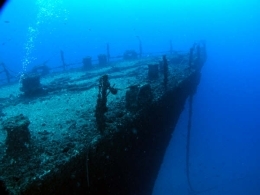 It is also now an artificial reef that offers excellent habitats for marine life and exciting opportunities for divers.